ROME, Jun 17 2013 (IPS) - The growing consensus, momentum and commitment to eradicate world hunger may seem overly ambitious in view of the slow progress in reducing the number of hungry people in the world in recent decades. After all, declining food prices in the second half of the 20th century, thanks to increasing production, were not enough to eliminate poverty and hunger in the world. In the 1960s and 1970s, many governments invested a great deal to increase agricultural, especially food production. In the second half of the 20th century, agricultural productivity rose rapidly. But intense price competition reduced food prices, with consumers benefitting more from productivity gains – thus helping to reduce poverty. Meanwhile, transnational agri-business has profited greatly from innovations in agricultural production, credit, processing and marketing value chains in recent decades. More recently, food prices have gone up again as productivity and production have risen more slowly than before, partly due to reduced public investments in recent decades, slower productivity increases in the last decade, as well as recent increases in demand for food crops. Recent food price increases have been associated not only with significant supply and demand changes, but also with biofuel mandates and subsidies as well as much greater commodity speculation. In the unlikely event that food prices go down again after the recent increases since 2006, food would become more affordable, while reducing farmer incomes and the incentive to produce more food, which could eventually cause food prices to rise once again. Poor countries are doubly handicapped by their limited tax capacities, resulting in low tax rates on low incomes. While there is little excessive taxation of small farmers these days, there are also modest urban-to-rural resource transfers through the fiscal system or other transfer arrangements. Government spending to raise agricultural output, productivity and incomes has also been shaped by political considerations, especially the desire to secure rural political support. However, with a few notable exceptions, government spending on agriculture is rarely biased to the poor. While agricultural taxation is generally proportional to land owned or to output, such public expenditure tends to benefit the relatively better-off in agriculture with much rural spending benefiting plantations and larger farmers more than smaller smallholders, tenants or sharecroppers. This is generally also true of improved rural infrastructure or social services, including health and schooling, as well as agricultural support in the form of subsidised fertiliser or other inputs – typically distributed according to the amount of land owned. Nevertheless, the poor may have benefited in so far as the rising tide of greater output lifts all boats. There is currently enough food being produced to feed everyone in the world. The problem is that most of the hungry cannot afford to adequately feed themselves, lacking the means to do so. Hence, the only way to reduce hunger in the near term is to enhance the incomes of the poor. More than three quarters of the over 1.2 billion “dollar a day” poor in the world live in the countryside. Reducing poverty will therefore require significantly higher rural incomes, especially for the poor. Since most rural incomes are related to agriculture, raising agricultural productivity can help raise rural incomes all round. However, to realise the commitment to “no one left behind” in the face of the likely protracted global economic slowdown as well as higher underemployment and unemployment for years to come, the only way to eradicate hunger soon will be by establishing the social protection floor. The 2011 U.N. General Assembly endorsement of the recommendation to establish a social protection floor implies that the means to do so are available. Historically, social protection has developed in relation to urban formal sector wage employment. But in developing countries, rural social provisioning has often involved “workfare” rather than state welfare as with India’s National Rural Employment Guarantee Act. FAO’s distinctive approach to cash transfers — which accelerates the transition ‘from protection to production’ — helps ensure more sustainable means to overcome hunger and poverty, thus pointing the way forward to achieving the Zero Hunger Challenge. 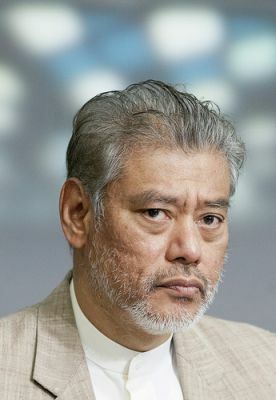 *Jomo Kwame Sundaram is Assistant Director-General, Economic and Social Development Department, UN Food and Agriculture Organization, Rome. This article makes some excellent points, but in an ecosystem collapse such as we face on earth, it is also important that we bring high incomes down and cut the overconsumption of the rich. That is going to move us towards food security.